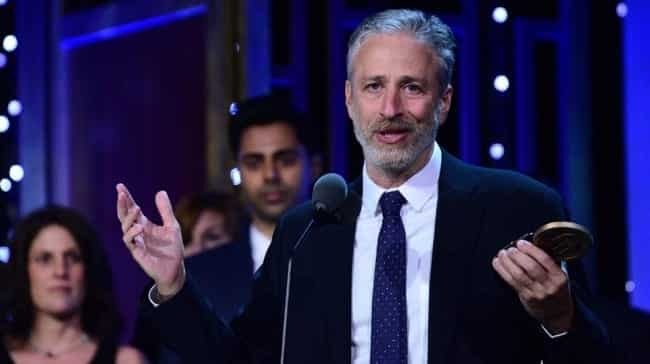 David Letterman and Jon Stewart received special achievement honors at the 75th annual Peabody Awards on Saturday. The two former late-night hosts received the awards alongside many other major television shows including “Mr. Robot.” “I’m shocked at the breadth and somewhat disappointed at the terrible conditions in the world that you all are addressing in the world thru your good work,” Stewart said during his acceptance speech. This entry was posted on May 23rd 2016 at 8:58am/08:58 and is filed under Entertainment, Humour, Live News Column 1, Politics. You can follow any responses to this entry through the RSS 2.0 feed.